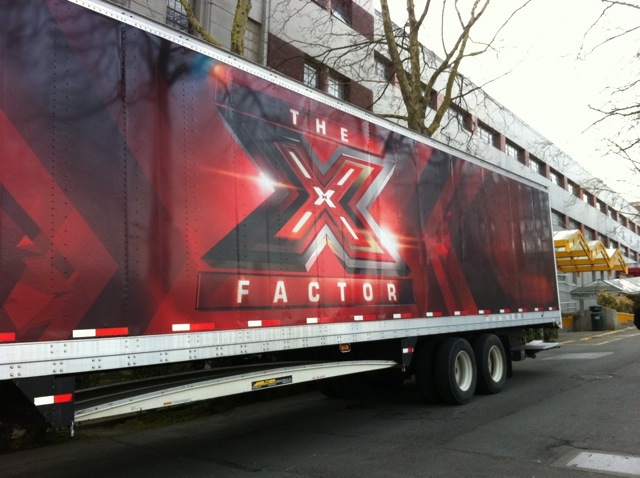 Simon Cowell’s ‘The X Factor’ is at Seattle Center’s KeyArena for auditions. 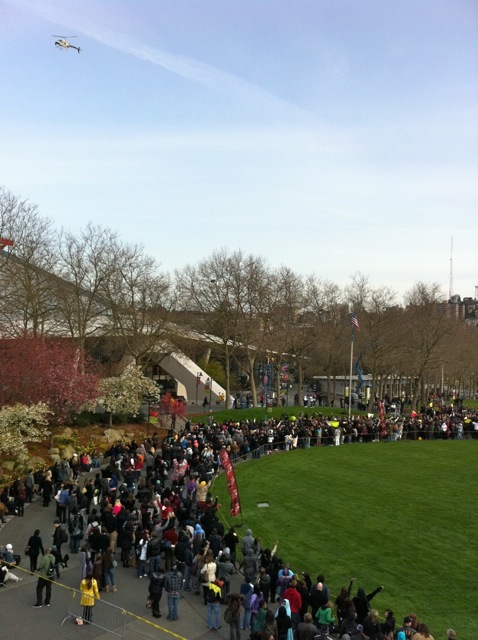 Thousands showed up to audition. The winner of the competition will get $5 million and a recording contract! 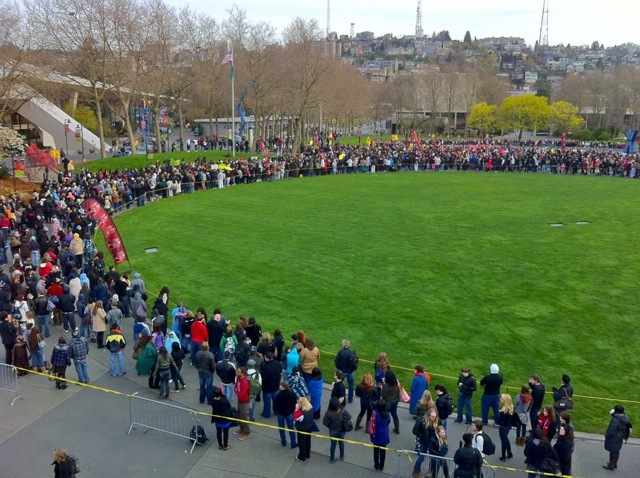 Yesterday people showed up to claim a wristband – today is audition day. Good luck! 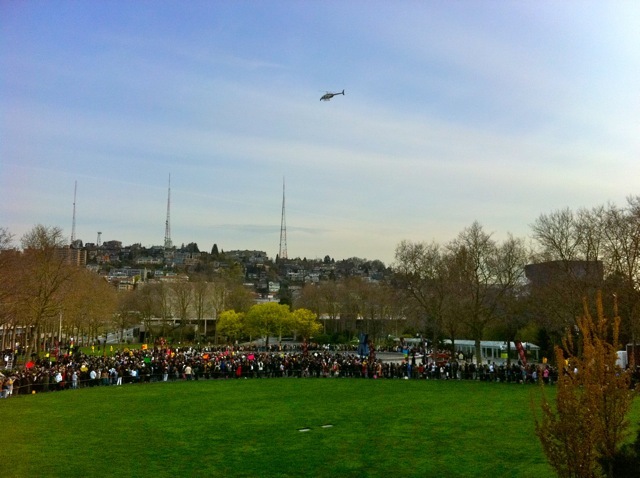 The Seattle Center Monorail is open 8:30am-8:30pm. Train departs every 10 minutes. Fast, direct service between Seattle Center and Westlake Center (downtown, 5th Ave. and Pine Street). This entry was posted on April 20, 2011 by Megan Ching. It was filed under Photos and was tagged with Auditions, Fox, KeyArena, Seattle, Seattle Center, Simon Cowell, The X Factor.